Dr. Gilbert is a Professor of Urology at the Hofstra North Shore LIJ School of Medicine and Adjunct Clinical Professor of Urology and Reproductive Medicine at Weill Cornell Medical College. He is also the Director of Reproductive and Sexual Medicine at the Smith Institute for Urology of the Northwell Health System. Dr. Gilbert has authored over 100 publications and is recognized as an expert in Male Fertility and Urologic Ultrasound. He is passionate about Urologic education and has organized training programs in microsurgery and urologic ultrasound as well as lectured locally, nationally and internationally. Dr. Gilbert completed his medical degree in 1983 at Cornell University Medical College and Urology Residency at the New York Hospital Cornell Medical Center. Prior to that he completed a Doctorate (Ph.D.) at the New York Medical College followed by postdoctoral work in Renal Physiology supported by the New York Heart Association in the Department of Physiology at Cornell University Medical College. Dr. Gilbert s private practice for the past 28 years has specialized in male reproductive and sexual medicine and surgery including male prosthetic surgery. He is an experienced microsurgeon having performed over a 1000 microsurgical procedures including vasectomy reversals, microsurgical varicocele ligation and microsurgical testicular sperm retrieval. Dr. Gilbert is the Medical and Laboratory Director of New York Cryo, one of the few long term reproductive tissue banks for sperm, oocytes and embryos in the region. He has also gained national prominence for his use of Holistic approaches for the treatment of chronic Urologic problems. Dr. Gilbert is certified by the American Board of Urology and the American Board of Medical Acupuncture. He is a fellow of both the American College of Surgeons and The American Academy of Medical Acupuncture. 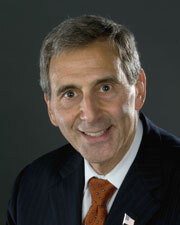 He serves as a reviewer for many Urological, Reproductive Medicine and Complementary Medicine Journals. He is married with two children and three grandchildren. He enjoys golfing and is an instrument rated pilot. "Both the Resident and Attending were excellent. Asked appropriate questions and answered my questions well. Instructions about next steps were clear." "that doctors was the best and very down to earth and easy to talk to.."
"Doctor Gilbert is a wonderfully caring physician"
"Great doctor A+. Will have recommended already." "I am coming from family doctors, MD's. I have never seen the physician so ethical and understanding. The patient and communicate w/him not to mention his expertise and concerns. #1,9. ++. #2,3,7,10. +. " "Doctor Gilbert and his staff explained to me everything about my medical condition so that I can thoroughly understand it. so grateful." "Kind, patient and very thorough - expert information." "Dr. Gilbert shows he cares." "Never felt so comfortable. Quite simply the nicest & best I have been to EVER!!" "I found Dr. Gilbert to be very knowledgeable, experienced & friendly." "I have complete trust in the provider." "Exceptional care, courtesy and a much more professional persona than my previous provider." "I haven't seen better yet. 1. Dr. Bruce." "Dr. Gilbert & assistants were excellent." "Showed a sincere respect for my problem."